Holbrook Reserve is a 24h Dog Park in Brunswick West. For further details and information about this park, check out the council website! Fraser Reserve is a 24h Dog Park in Brunswick West. For further details and information about this park, check out the council website! Dunstan Reserve is a 24h Dog Park in Brunswick West. For further details and information about this park, check out the council website! Braddy Reserve is a 24h Dog Park in Brunswick West. For further details and information about this park, check out the council website! Sumner Park is a 24h Dog Park in Brunswick East. For further details and information about this park, check out the council website! Roberts Reserve is a 24h Dog Park in Brunswick East. For further details and information about this park, check out the council website! Phillips Reserve is a 24h Dog Park in Brunswick East. For further details and information about this park, check out the council website! Methven Park is a 24h Dog Park in Brunswick East. For further details and information about this park, check out the council website! Kirkdale Park is a 24h Dog Park in Brunswick East. For further details and information about this park, check out the council website! Jones Park is a 24h Dog Park in Brunswick East. For further details and information about this park, check out the council website! Fleming Park is a 24h Dog Park in Brunswick East. For further details and information about this park, check out the council website! Balfe Park is a 24h Dog Park in Brunswick East. For further details and information about this park, check out the council website! Glen Valley Road Reserve is a 24h Dog Park in Blackburn. For further details and information about this park, check out the council website! Bladin Street Park is a 24h Dog Park in Laverton. For further details and information about this park, check out the council website! Kings/Robertson Rd Power Easement is a 24h Dog Park in Taylors Lakes. For further details and information about this park, check out the council website! Green Gully Reserve is a 24h Dog Park in Keilor Downs. For further details and information about this park, check out the council website! Denton Ave Reserve is a 24h Dog Park in St Albans. For further details and information about this park, check out the council website! 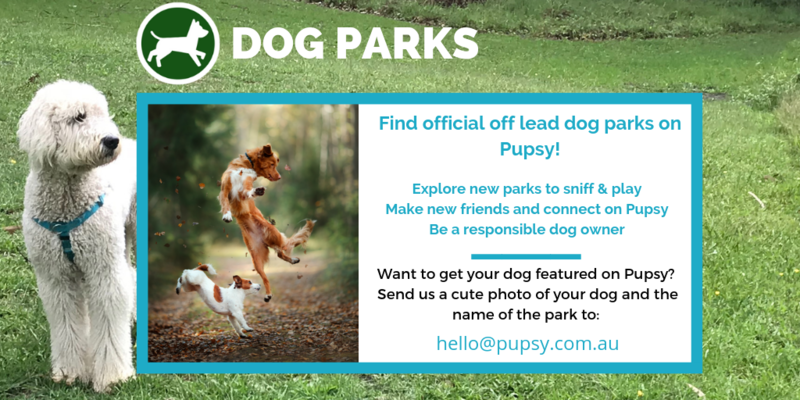 Davitt Drive Reserve is a 24h Dog Park in Deer Park. For further details and information about this park, check out the council website! Victoria Gardens (sunken oval only) is a 24h Dog Park in Prahran. For further details and information about this park, check out the council website! Union Street Reserve is a Timeshare Dog Park in Armadale. For further details and information about this park, check out the council website! Chris Gahan Reserve is a Timeshare Dog Park in Windsor. For further details and information about this park, check out the council website! Central Park (oval only) is a 24h Dog Park in Malvern East. For further details and information about this park, check out the council website! Ardrie Park (oval only) is a 24h Dog Park in Malvern East. For further details and information about this park, check out the council website! Wishart Reserve is a 24h Dog Park in Hampton East. For further details and information about this park, check out the council website! Aberfeldie Park is a 24h Dog Park in Aderfeldie. For further details and information about this park, check out the council website! Fabian Reserve is a 24h Dog Park in Keysborough. For further details and information about this park, check out the council website! Barry J. Powell Reserve is a 24h Dog Park in Noble Park North. For further details and information about this park, check out the council website! Lois Twohig Reserve is a 24h Dog Park in Dandening North. For further details and information about this park, check out the council website! Tirhatuan Park is a 24h Dog Park in Dandening North. For further details and information about this park, check out the council website!